Pay multiple invoices using just one check when your order Peachtree Accounts Payable Checks. These convenient business checks are guaranteed to work perfectly with your Peachtree financial software. 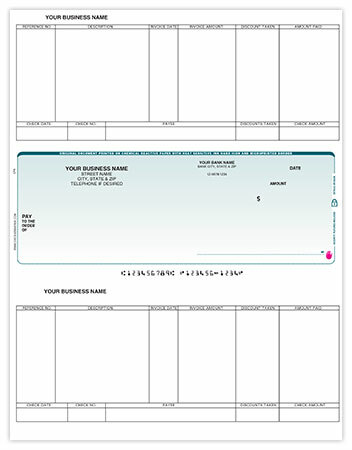 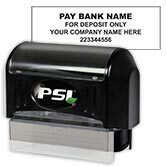 The checks and vouchers come personalized with your company name and sequential numbering. Use the checkboxes near the product image to let us know if you'd prefer your checks be reverse collated, or if you need two signatures lines. 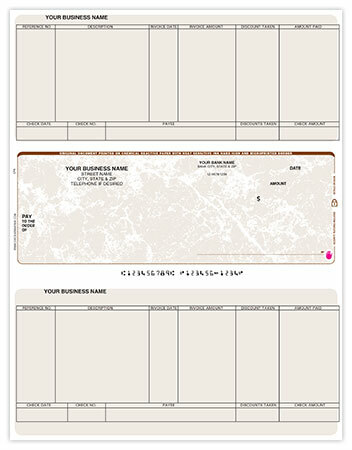 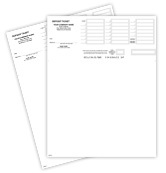 Add a logo to your Peachtree business checks and put a finishing touch on your order! 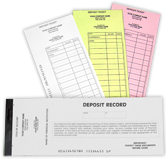 Order your Peachtree Accounts Payable Checks today!